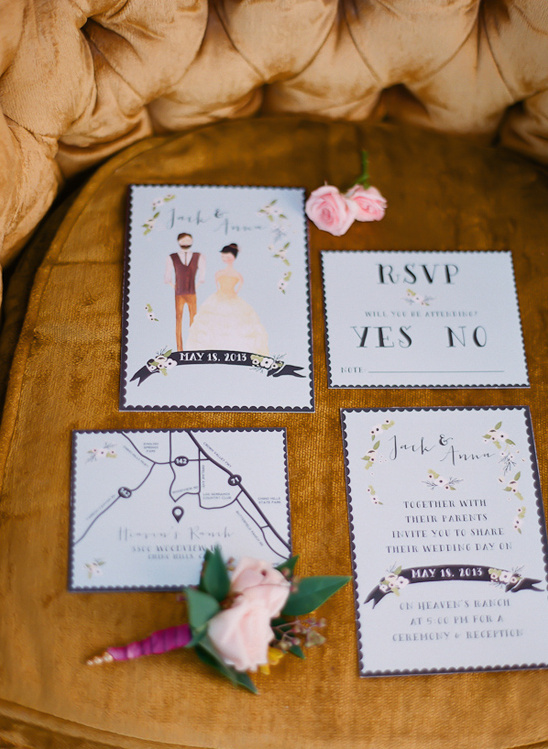 We all love a little wedding inspiration, especially when it involves a color palette of pink, blue, white and hints of gold. A few horses and some fabulous vintage decor. 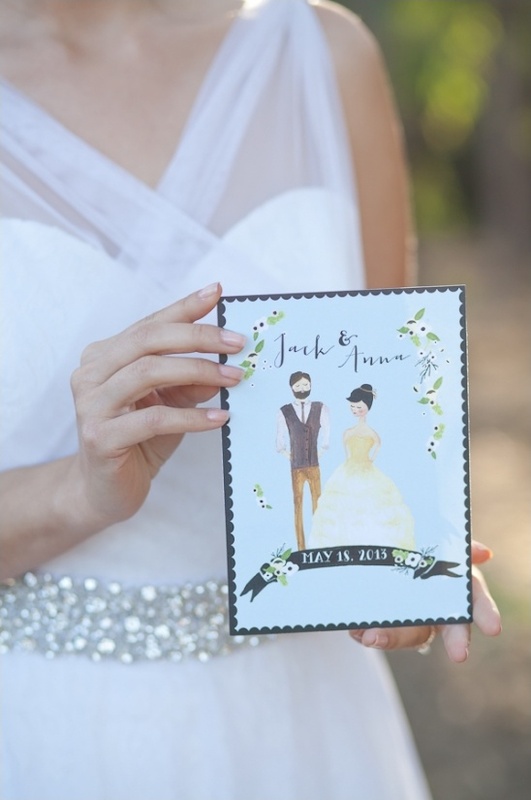 After all, we are all in the business of sharing anything wedding with you so, it makes it all the more special when we have something as fabulous as our next shoot. 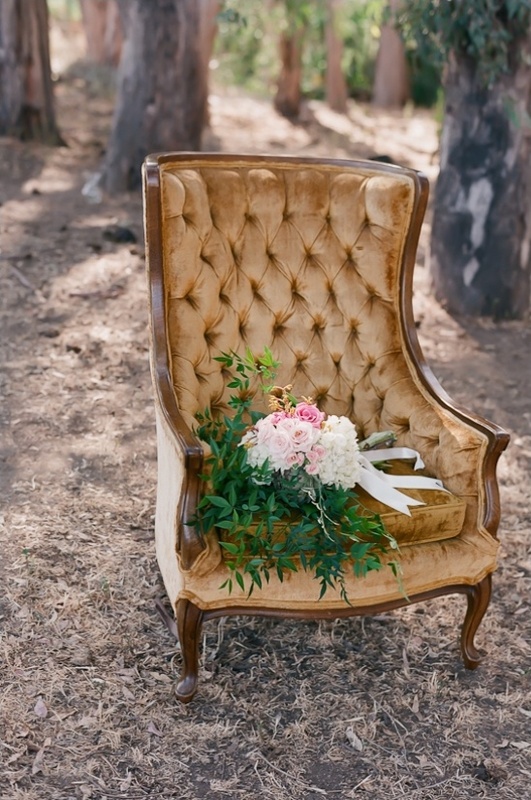 Enjoy all this enchanted rustic wedding inspiration, and be sure to see more wedding ideas in the full gallery all captured by Lucy Munoz Photography. 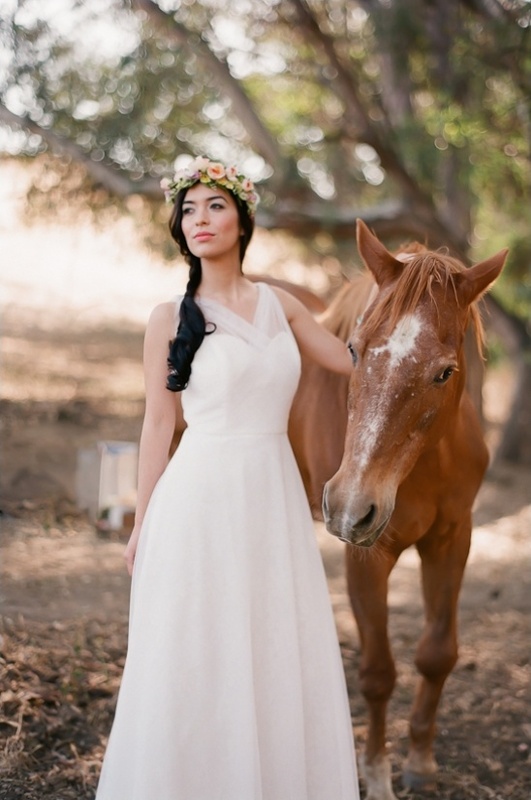 From Lucy Munoz Photography:When we dreamed this shoot up we wanted to keep with the feeling of enchantment and wonder. The wedding dresses from Aria (the Samantha and the Avery) complemented our theme for. Both dresses seem fresh and ethereal, exactly the look we were going for. Karissa and Sarah were part of our beauty team and they were phenomenal! Not only did the understand the concept, but they took it from ethereal to wondrous, which isn't an easy thing to do. Aleah from A La Carte Flowers created the perfect summer bouquet. 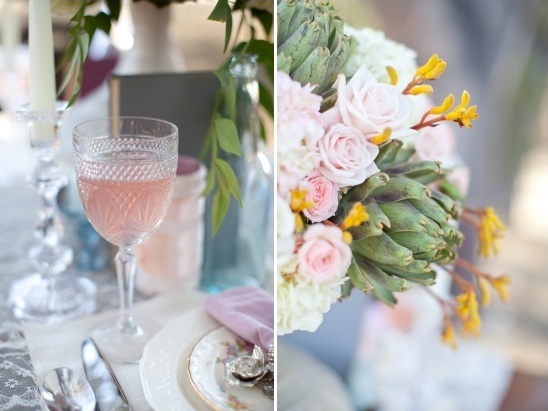 The flowers had hydrangeas, artichokes and vintage roses-giving it a sense of bounty and a bit of the unexpected. 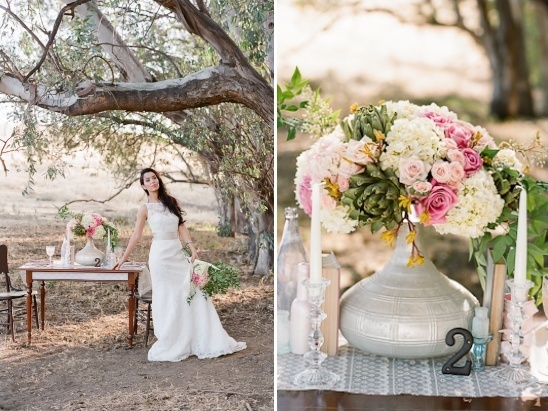 This shoot had the summer colors we were hoping for: blues, pinks, whites and golden accents. 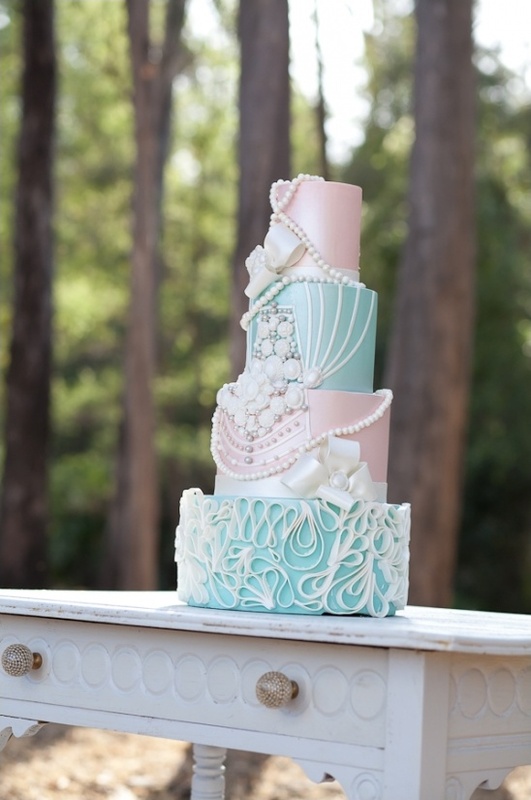 We wanted something that felt sweet and delicate, but with a touch of vintage whimsy. 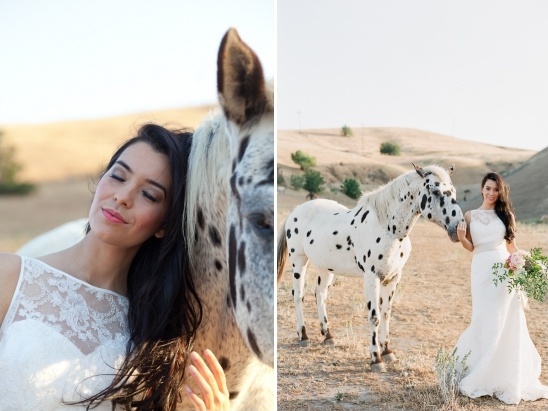 We loved the fact that we were able to shoot this at Heaven's Ranch, in Chino Hills, CA. They have over 350 acres of rolling hills interwoven with trails and fire roads. They also have a wooded area-home to horses (some of them are rescue horses) that are able to roam freely. 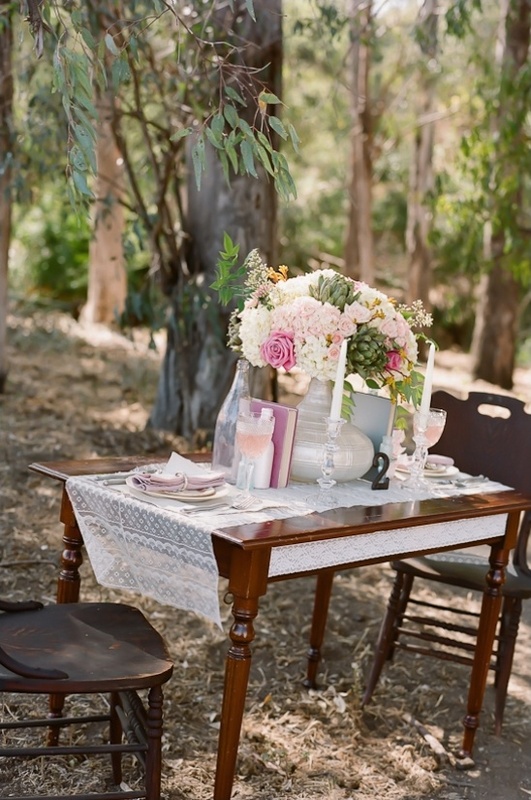 Our furniture and table styling were done by Sparkles and Vintage. 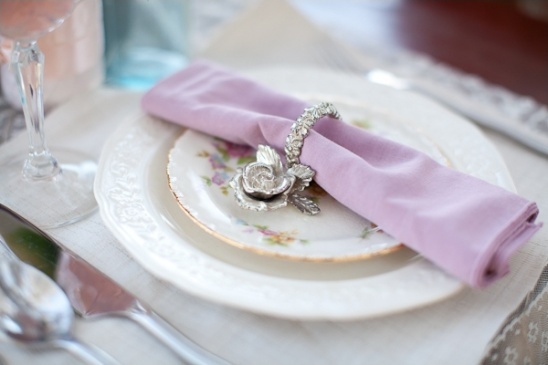 The set up was so sweet and delicate. The cake was designed by The Cake Mamas. They took the concept and created a cake full of wonder and enchantment with a bit of surprise. 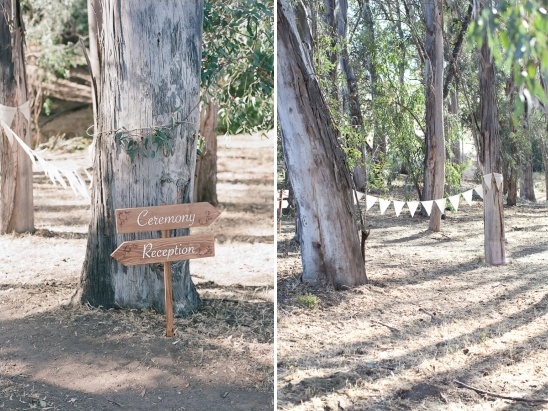 Any of these elements could easily be translated into a fabulous summer wedding!